Tyler Perry’s first ever rom-com is finally out on DVD + Digital and Blu Ray, and to celebrate the release I got an opportunity to interview on the fashion in the film with the film’s African-American costume designer Crystal Hayslett (Crystal Renee). We all may recognize many of Crystal Renee’s styling work on notable tv & movie sets such as Being Mary Jane, The Game, 5th Wave, Red Band Society and more! Watch the Nobody’s Fool trailer below, and follow up with the intimate interview about the amazing film’s fashion as you follow along! 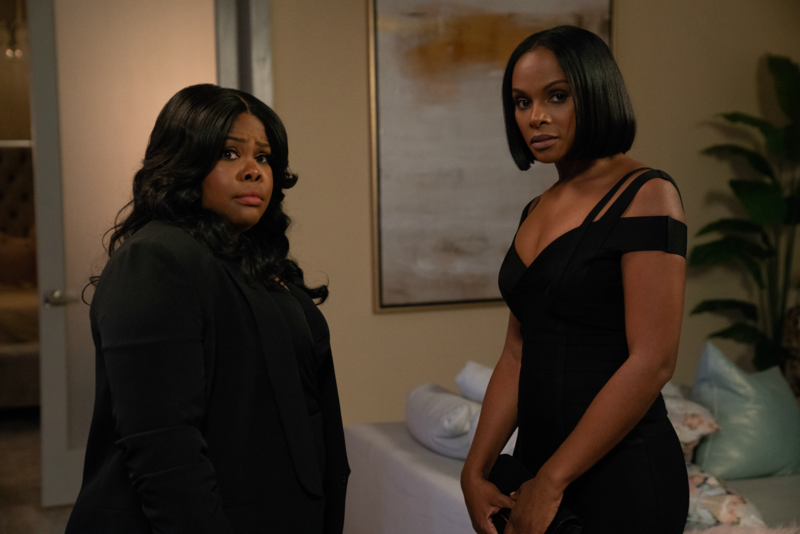 Nobody’s Fool stars Tika Sumpter, Tiffany Haddish, Omari Hardwick and Whoppi Golgberg, which Crystal Renee styled them all for this film. 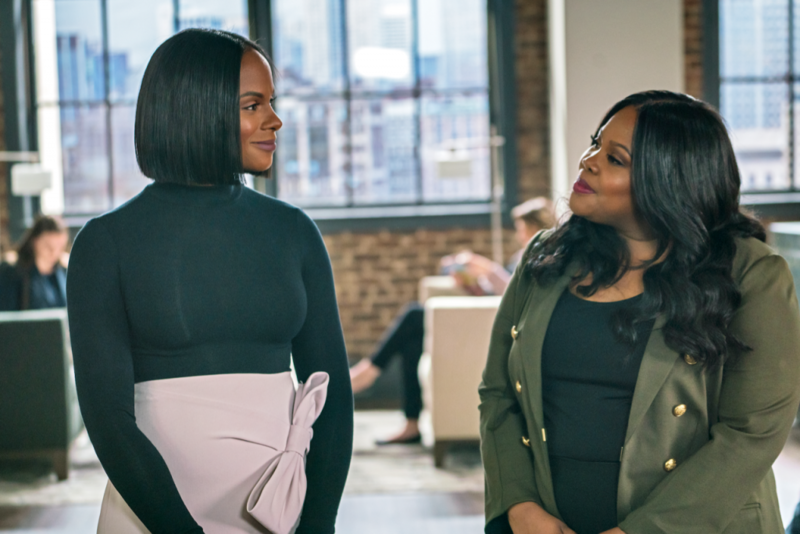 The film centers around Tika Sumpter’s character Danika, who is a high profile advertising executive with an amazing sense of style and fashion that you can see Crystal was able to bring her character’s fashion sense to life. 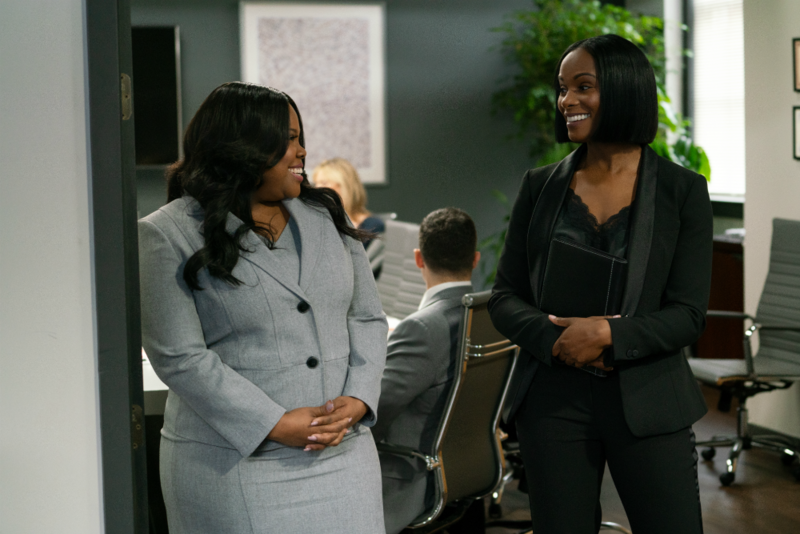 I really enjoyed not only Tika Sumpter (Danika) style, but the entire cast fashion sense was on point! 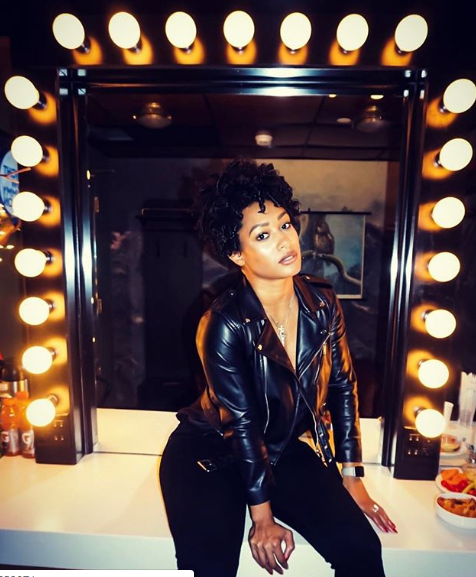 I was elated to get an opportunity to talk more with Crystal on how she got the opportunity to work on Nobody’s Fool, what it is like to work with Tyler Perry, her favorite looks from the movie and more! How long have you been in the film and television industry? Crystal: I started in 2012 getting into the film and tv industry, but I’ve been designing since 2015. How did you get your foot in the door to do fashion and costume designing for tv & film? Crystal: I started as a production assistant for Tyler Perry and worked my way up. I was on set with Mr.Perry everyday, then on the second season of the Have and the Have Nots, I got a call to become Tyler Perry personal stylist. How is it styling Tyler Perry and what is his personal style? Crystal: He is so easy going and I have so much fun styling him. He trusts me and it just makes it so easy to style him. Mr.Perry’s personal style changes, but he loves black. He is also into a lot of leather, motorcycle boots, and sneakers. He really enjoys sneakers. Crystal:I have worked on several Tyler Perry Production sets and I was given the opportunity by Mr.Perry to do all of the costume designing and styling for this movie. He gave me free reign over the fashion designs for the entire film. I was also responsible for styling everyone on set from the stars and even the background cast. What was the process of getting together the costume designing preparations for this film? Crystal: I actually read the entire script, revisioned everything by creating a mood board, I pulled looks from magazine clippings and Pinterest for fashion inspiration. In this process, I also created closets, went shopping and I would have to take pictures every morning to align every personal with their wardrobe. Crystal:I’ve known Tika since 2010, and working with her is so smooth and she is very easy going. Tika was easy to transition into her character Danika style-wise. You can throw anything on her because of her frame. Tika’s character is style more high end as she is more established and put together. One of my favorite looks of Danika in the film is when she wears this Ted Baker pencil skirt with a big bow, paired with Christian Loubitins and a body suit. Crystal:Amber was lots of fun to style. I wanted to make a point to not put her characters style in a stereotypical form for plus sized women in movies like this. Her character was confident as also established and I wanted to bring that out in her style. Amber has a beautiful siloutte, so I enjoyed putting her in pencil skirts which looked amazing on her. I also loved her in tailored blazers! My favorite look of hers from the film was a teal blue bodysuit with a silk blouse and a black skirt! Crystal:Omari is absolutely the best to work with! So easy, but what I love the most about him is how connected he is with his character. He always tries to create a backstory and connect better with his character to make his role come to life. It actually challenged me to go deeper and I would follow his backstory as well so I can style his character around that as well. One of my favorite things was how Omari decided that for one of his looks, he had an olive jacket he wore and asked if we could get some doodle work on it. Many people might not know but lots of men incarcerated like to draw, so he wanted to incorporate doodlings on his clothing as so I had someone [Jesus] actual customize that olive jacket. Jesus doodled some spiritual and positive sayings on the jacket sleeve that was fun, which made Omari really make a connection to his character and his talents from his time in prison. Crystal:Tiffany was not too complicated at all to style because I actually didn’t have to do too much. Tiffany’s character just got released from jail, so most of her looks were everyday casual looks. She had this hero jacket that she wore basically every day, and all I changed up was the shirt and pants. She wasn’t like Danika who had this high profile job, Tiffany’s character was actually looking for a job and didn’t have much of a sense of style. Crystal: I will stay Whoppi’s was kind of scary at first to style, because she had her fitting the day she had to come to work so that was nerve wrecking as we had to alter and do everything in one day. But I will say she was one of my favorites because one day she comes in and say she loves everything [the clothes] and states to me, “Can We Play”? So she was down for me to style her and get really creative with her character’s wardrobe. She would do all types of things out of the box to her attire such as put things on backwards or randomly tie things in a bow. She was one of the best stars to work with and one of my funnest fittings ever! Crystal Renee did an amazing job styling everyone for this hilarious rom-com of Nobody’s Fool. Currently Crystal is on apress tour for Madea’s Funeral which debuts in theaters March 1st. Crystal will also be keeping busy with more costume designing for the upcming Madea Farewell Tour. Keep in touch with Crystal Renee Hayslett on Instagram at @LuvCrystalRenee and follow along her current and future projects to come! § Tale of Two Sisters – Find out how the movie’s two sisters clash and collide with hilariously disastrous results. § The Legend and the Star – Comedy icon Whoopi Goldberg discusses her hilarious role as the mother of two polar opposite sisters. § Mocha Latte Extra Laughs – Laugh along as Omari Hardwick’s character battles it out in a catastrophic love triangle! § I’m Just Trusting Tyler Perry – Watch Tyler Perry in action on set. § She Ready or Not: Here Comes the Wedding Crasher – Go inside the laugh-out-loud funny scene where Tanya crashes her sister’s ex-boyfriend’s wedding! § Bring the Funny – Catch up on the hilarious scene where Tiffany Haddish’s character is fresh out of jail. 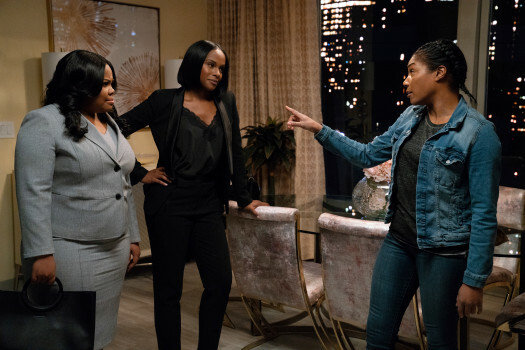 § Breakfast with Tiffany – You heard it here first: Tiffany Haddish, Tika Sumpter, Omari Hardwick and Amber Riley give the scoop behind-the-scenes of Tyler Perry’s Nobody’s Fool. § “Something New From Tyler Perry” Perfume – Watch this side-splittingly funny faux commercial for Tyler Perry’s Nobody‘s Fool. 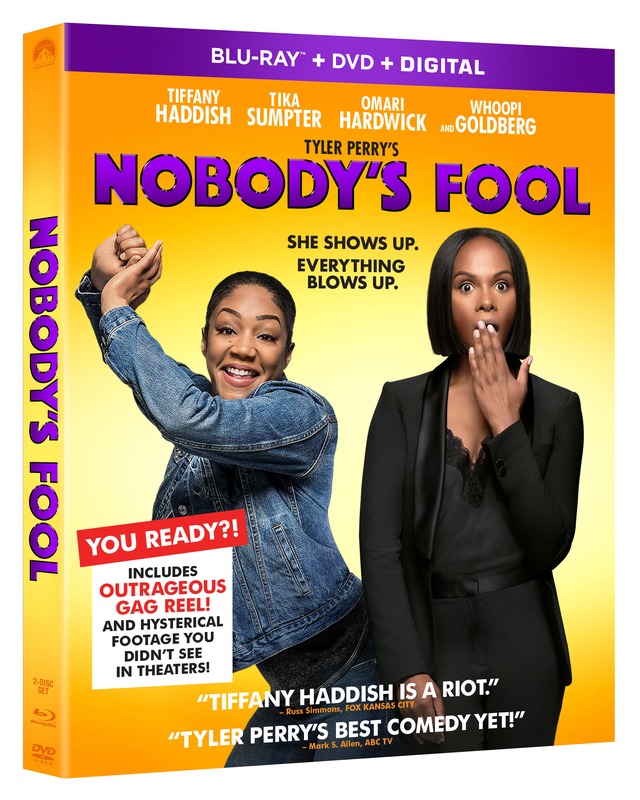 § “Catfished” Perfume with Outtakes – Enjoy this hysterical fake commercial for Tyler Perry’s Nobody‘s Fool with Tiffany Haddish. 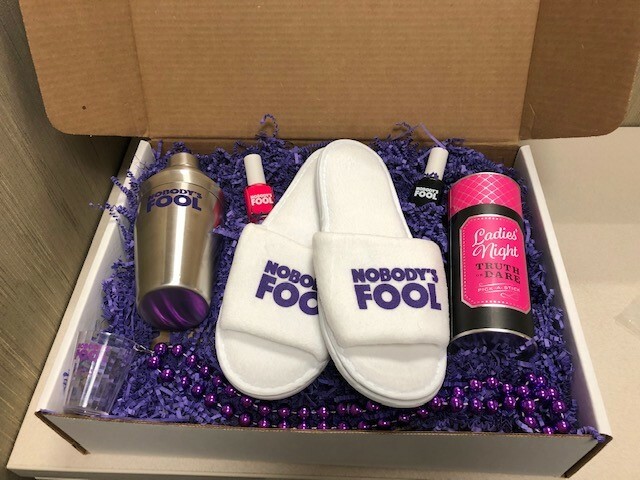 COMMENT TO WIN Nobody’s Fool Prize Pack! Nobody’s Fool is out on DVD + Digital + Blu Ray now! Have you ever been anyone fool for Valentine’s Day? Such a small world. Crystal and I are from the same small town area in TN. So great to see her doing amazing things. I can’t wait to watch this movie. This looks like a great show. I cannot imagine the joy of getting to style these people! Wow! My wife and I love his shows. This show sounds like it’ll be another hit. Your interview was very well done and she designed some great outfits for the show. What an amazing cast! I haven’t seen Whoopi Goldberg play in a movie in a while so this is definitely exciting! What a fun experience to style actors for a movie! There are plenty of stories to tell, I’m sure! The looks were spot on too! Looks like it is a great show.Musr have a watch. This looks like it’s right up my alley. I love the Tyler Perry shows and movies! I love watching Tyler Perry movies and this one sounds hilarious! I would love to check it out. haha this movie sounds hilarious! I definitely have to check it out. Now, this is a cute prize pack. I just saw the DVD in store and thought wow I need to see this movie still. I have yet to see this but I definitely plan on seeing it as soon as I can get it at the Redbox!! It looks super good! How cool it would be to be a stylist like this! I’ll bet there is so much going on behind the scenes! what a fun thing to get to do! love him! Ya know what I wasn’t that convinced I’d like this movie, but you’ve convinced me! I’m a fan of Tifanny so I really have to check it out. I don’t think I realized that this was a Tyler Perry Film. I’ve always loved Tika Sumpters style on and off set, she was flawless in a recent Wendy Williams appearance. We’re planning to watch this over the weekend, I’ve heard great thing! I have not seen it but I plan to do so. I didn’t realize it was out on digital copy + DVD. We are supposed to get snow this week. Maybe I can watch it then. I love how Crystal worked her way up. I am also a fan of Being Mary Jane, and I loved her wardrobe. Just watched it since reading your post! And it’s pretty funny. Gotta love a good comedy. This was one of my funniest movies I have seen to date. Tiffany is definitely great in this movie. A different side of Tika and omg how can we forget the handsome Omari Hardwick. Very cute, I will definitely own this on DVD. This looks like such a good movie, I need to get it! Great interview, I am feeling all of the fashions from the film! Wow! That’s a dream job! A friend of mine told me this was a good movie but I haven’t seen it yet. I’ll probably wait til it’s on TV though. I can’t say I’ve been anyone’s fool for Valentine’s Day. I’ve been pretty blessed with exes. We had our falling outs, but they at least tried to be good guys for the most part. I’ve always been pretty good at getting over men anyway. Crystal’s outfit is super cute in her pic btw! Love that leather jacket. I have not..lol! I still need to see this movie too. Great interview! 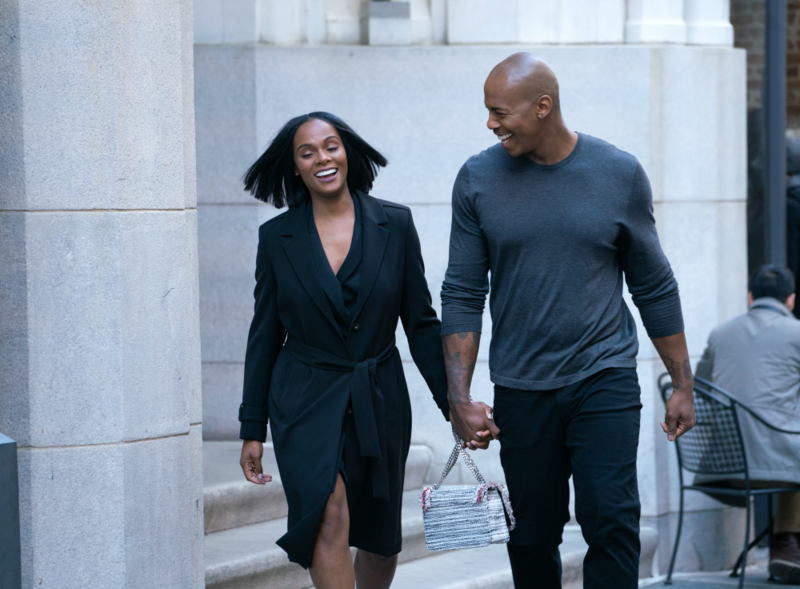 I love their style…especially Tika Sumpters hair! I can’t wait to see this movie! I learned so much from this interview. I never knew the depths that stylist/costume designers actually go to get the looks for each character. Can’t wait to see this movie.